The Gold Standard is idealized by gold-bugs & loathed by Keynesian economists. 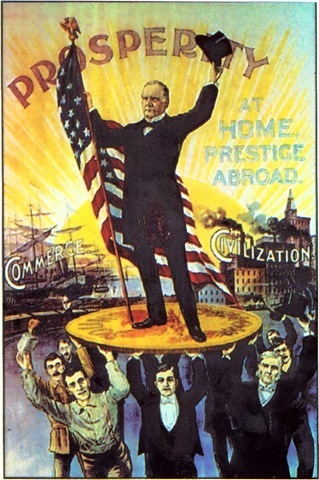 The gold-bugs are nostalgic for the economy of yesteryear, where gold reigned supreme, backing currency to the fullest. Those were days of wine & song where everyone owned a Ford Edsel, lived in perfectly manicured neighborhoods with rosy cheeked wife & kids. All the best of the past, with none of the squalor of tenement shacks & children work houses. Then come the Keynesian brave new world of floating fiat currency, backed by GDP and the power of the people to produce goods and services. They want and call for government intervention. They believe in a strong central bank that manipulates currency keeping the economy moving forward with minimal downturns. The economist knows best! The pendulum has swung to the extreme of Keynesian economics and has people talking more about returning to a gold standard. People are looking for stability in pricing, inflation to be stemmed, & real pay increases stopping the sliding standard of living. What a gold standard wont do is fix economic cycles, nor will it stop unemployment, or balance the budget. What a gold standard will do is help stem the avalanche of indiscriminate money printing. It will also keep the central banks honest on the value of currencies. Gold gives a definable valued based on the limited amount of gold in the world. It is a solid basis that can be measured and hedges against accountants manipulation of numbers. Since the central banks globally are not returning to any form of a gold standard anytime soon nothing can stop you from starting your own gold standard. By starting a Tangible Asset Portfolio (TAP) with a conservative 10% to aggressive 20% of your net worth you can stabilize your personal finances. While the rest of the economy is in shambles your personal TAP will give you the financial security the central banks refuse to offer. Read more: Forbes – What Is the Purpose Of A Gold Standard. Today gold & silver continue their bull runs with no signs of slowing. Wall Street hurtles toward 13,000 (DOW) & 3,000 (NASDAQ); meanwhile, the Fed is providing fuel by ignoring inflation & debasing the Dollar. 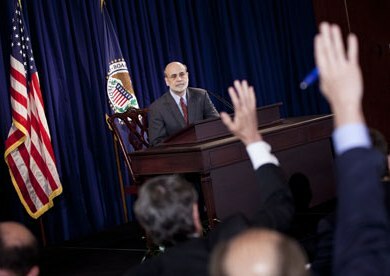 Indications are mixed if Bernanke will sing the same song with a third verse of Quantitative Easing. All of this is keeping the fundamentals of the metals markets at a status quo. The minimum length of time for continuing track the Fed is on is a minimum of three more months. I don’t know exactly how long it will be before a tightening process begins. It’s going to depend, obviously, on the outlook. … Extended period suggests that there would be a couple of meetings probably before action, Bernanke commented in yesterdays press conference. While Bernanke mentioned inflation a number of times he considers it to be transitory, Although the recent surge in commodity prices led to pick up somewhat in the long-term, the committee predicts inflation will return to consistent levels in the medium term, Bernanke said. Consequently, the short-term increase in inflation has not prompted the (FOMC) to tighten policy at this juncture. Unfortunately, the average Joe on the Street has to eat and drive to work on a daily basis making this short-term inflation a very real issue. This has been seen recently in consumer purchases declining over the last quarter. This is a real crisis of the working poor & middle class forcing them to choose between the basics like food & gas or an iPad & travel. 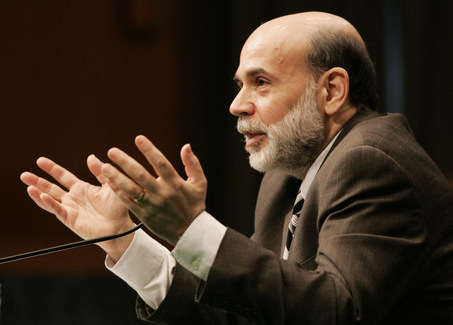 Bernanke finally admitted there may actually be real inflation, maybe? Ultimately if inflation persists or if inflation expectations begin to move, there’s no substitute for action, Bernanke said. We would have to respond. Let us hope the Fed responds before we see another even Greater Recession. The Fed is going to new heights of transparency by holding its first ever news conference. In an effort to rally support, Ben Bernanke will talk directly to the press letting us know there is nothing up the Fed’s proverbial sleeve. Expected, more of the same, side-stepping inflation and continued devaluing the Dollar. Bernanke and his Fed continue to insist this is not a risk. They assure us the recent uptick in inflation is temporary. The jump in the prices of gold, oil and other commodities won’t flow through to the real economy, according to Neil Weinberg an financial editor at Forbes. Weinberg further added the Fed was treading into dangerous territory like Japan in the late 80’s. As a longtime student of financial bubbles, I don’t buy this. I was in Japan following passage of the Plaza Accord in 1985 and saw how the artificial stimulus from an artificially stimulated yen led to real estate and stock bubbles. Japan has never recovered. He went further to add, Now the Fed is artificially stimulating the economy by printing money at a rate the world has never seen. It’s no mystery where the money is going: stocks, emerging markets, commodities and Wall Street’s pockets. By the axiom of history, it would seem Bernanke & the Fed are dooming us to repeat an economic crash similar to Japans. In uncertain economic times, as we are experiencing, those who are invested in a Tangible Asset Portfolio at a conservative 10% to aggressive 20% of their net worth will be better equipped to survive. Gold & silver are both seeking new heights as a financial safe-haven. Don’t be caught with out your own personal TAP. This morning saw a decline in gold & silver prices of -0.89% & 4.09% respectively. After silver hit near its all-time high price it has pulled back almost 10%. This was to be expected considering the meteoric rise in silver over the previous 12 months. Yet, the underlying principles of silver will continue to drive it forward potentially to the $60 mark & beyond. [The silver rally’s] got fundamentals behind it—this is not an inflation play by any means, Phillip Streible, senior market strategist at Lind-Waldock Streible told CNBC. Supply-demand issues are here, there are new fundamentals and it’s got momentum shooting it higher. We have discussed prior that the majority of silver mined today is consumed for industrial use. 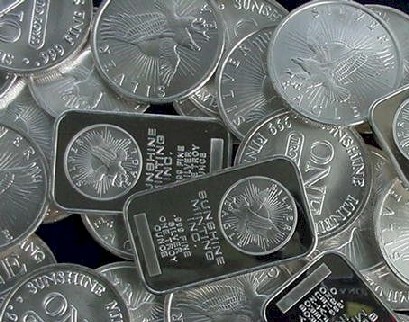 This additional pressure on the silver market may be changing the fundamentals of silver for the long-term and potentially for ever. Where will the silver bull run end? No one has a clear answer at this time. There have been conservative estimates of $55 to $60 an ounce to wild speculation of $100 to $120 an ounce. Until the market finds its equilibrium between investment silver & industrial usage we may continue to have bursts forward with stutter-steps of retraction. The overall projection for silver is moving forward near the $60 to $70 price range in the next 12 months. Unless Bernanke & the Fed reverse course fundamentally addressing the inflation & economic factors in the price, silver will reach new highs. Now, is a great time to catch silver during a small retraction allowing you to reap the benefits of silvers march forward. The Dollar continues to free fall into oblivion, driving gold & silver further up. 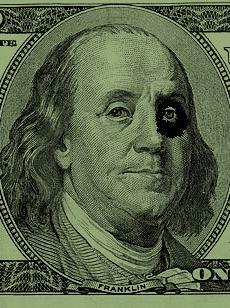 The out-look for the Dollar is grim. The Fed is meeting on Tuesday & Ben Bernanke will hold a press conference Wednesday night, expected, more of the same – defense of low rates & continued ignoring of inflation. Allowing the Dollar to continue it’s downward spiral against the other fiat currencies. These factors along with current global demands on gold & silver continue to accelerate their acquisition as alternative currency. John Stephenson, Portfolio Manager at First Asset Funds said on CNBC’s Fast Money, What is at the heart of all of this is a distrust in paper money. So long as the Fed keeps interest rates below inflation – anything below 2% — these commodities will keep going higher. Unfortunately, it looks as if Bernanke & the Fed plan on keeping this course for the remainder of 2011. This is good news for those thinking that prices are too high to enter into the metals markets. Gold & silver may be your only real choice for the near & long term to hedge against the decline of the Dollar & inflation. Read more: CNBC – Morning Note: Silver, The New Safe-Haven Currency? The Dollar is taking a beating in the global markets & no one is doing anything about it. Ben Bernanke & the Fed, who are supposed to keep the Dollar on an even keel, are like the captain of the Titanic preparing to ride the current course to the bottom of the financial sea. 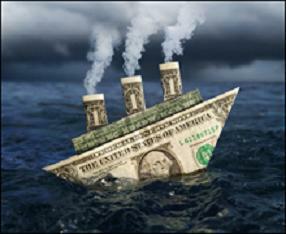 The citizens who rely on the Dollar many will find themselves with out a life-boat to survive. With the negative forces impacting the Dollar, the battle in Congress over the National Debt, Bernanke’s refusal to raise the rates along with QE2 continuing, & the Presidents refusal to hold any of these accountable, it appears set to blow right through the previous lows. Dennis Gartman, hedge fund manager and author of The Gartman Letter was quoted on CNBC, Panic dollar selling is setting in… This may carry farther than any of us dream of or, worse, have nightmares of. Also, the shot across the Fed’s bow by S&P about a potential down-grading of the US credit status sent the Dollar on its latest downward drive. The Dollar is in jeopardy making it harder for the average Joe on the street to make ends meet. If the predictions of $6 a gallon gas and other energy prices sky rocketing it will be hard for the Dollar to survive possibly sending the economy into a second recession. Sean Hyman, currency director for World Currency Watch told CNBC, It doesn’t help anything that commodities keep going through the roof. There are a few dynamics working in a concerted effort all at once, and that’s killing it. Should the Dollar sink those who are invested in a Tangible Asset Portfolio will have the added financial security of gold & silver working to help them survive. This is life insurance against the failure of the US Dollar, take time today and start or add to your personal TAP. Marc Faber, Editor and Publisher of The Gloom, Boom & Doom Report said on CNBC, investors should be their own central banks and gradually accumulate gold reserves as a currency. The endowment fund for the University of Texas did just that. With an endowment nearing the $20 billion, they are currently holding $1 billion in physical gold. 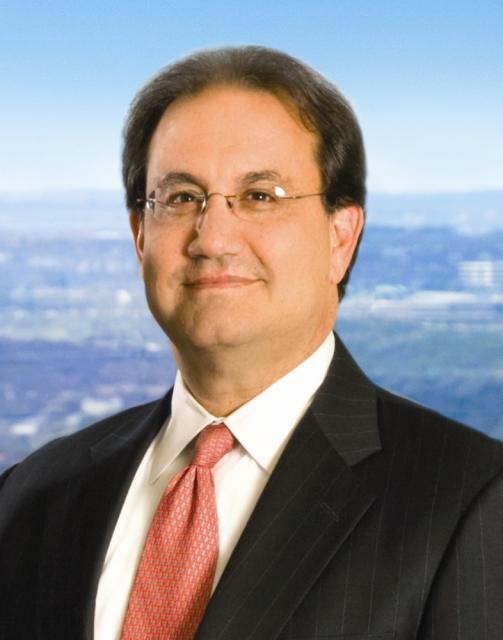 Bruce Zimmerman, chief investment officer of the University of Texas Investment Management Corporation (UTIMCO) told CNBC, We began buying gold in September of ’09 at about $950 dollars an ounce, our average price is about $1,150, we’ve invested around $750 million dollars in gold over that twelve months and now it has a market value of around a billion dollars. They spread there purchases over a 12 month time frame where gold went up over $300 yet the cost average was only $1,150 an ounce. This is important to consider when acquiring metals while the price may continue to increase, the longer you spread out the purchases the lower the cost average will be. According to Zimmerman, the final purchases would have been about $1,250 an ounce but the average works out to $1,150. This is not any sort of accounting trick it is the reality of acquiring over the long term. Imagine the cost average for someone who started when gold was $250 back in 2002. He also expressed many of the same concerns we have in this blog about fiat currencies & stimulus plans trotted out by the Fed and EU. Zimmerman commented, The role gold plays in our portfolio is as a hedge against currencies. The concern is that we have access monetary and fiscal stimulus. This is right inline with what we encourage our investors to consider when building a Tangible Asset Portfolio. Zimmerman told about there preference for physical over ETF’s, rather than continuously roll the futures contracts, it just became easier and more economically for us to take possession of the bullion. Finally, he commented on the diversity of the endowment, Our fixed income investments, particularly investment grade fixed income investments, the role they play in our portfolio is to provide for liquidity and stability. Fixed income, just like the gold, is one element of a very diversified portfolio. The 3 things we like to advise our clients is: Diversify your portfolio, Acquire over the long-term, Take physical possession, are the exact elements used by one of the largest college endowments in the nation. Consider your long term commitment to a TAP then do it. You are currently browsing the Mind Your Money blog archives for April, 2011.